Acne and spots get most of us at some point (if they haven't got you then you don't know how lucky you are!). If you do happen to suffer from spots. whiteheads or blackheads, this range is a must try for you. As you may be aware if you have seen any of my previous skincare posts such as this one on achieving clear, glowing skin, this recent review of a healthy hair hero product I stumbled across or my Top 5 Summer Beauty Essentials – there's a strong theme, and it's all focused on achieving a healthy glow, for both the skin and hair. Unfortunately, I suffer from breakouts too, so I'm always balancing products that give that 'glow' with those that clear my skin. This can be difficult, because most products that are aimed at acne are drying, while most products that give you that beautiful glow are pore clogging. Getting the balance right is basically an art form. It's peel off. Not only is this fun (hello PVA glue throwback), it feels like it really is pulling the s*** out of your pores and, like with facial cleansing strips, you can actually see the stuff that has been yanked out of your pores if you look closely enough. Gross, but great. It removes dead skin too. What a multitasker. The list of ingredients includes zinc and silver ions which have antibacterial properties, thus help prevent acne and blackheads. If you're going through an oily skin phase, it's great as it does a fantastic job of magnifying your skin. Zinc Oxide – something you should look for in acne products. In a previous skincare post, I recommended taking a zinc supplement to help fight acne, but, as well as consuming zinc, applying zinc oxide topically works wonders too, it decreases inflammation (making your spots less visible and red - yey!) and helps reduce oil. Charcoal Powder – as mentioned, charcoal is a detoxifier. People even drink it when hungover to pull the toxins out of their bodies. Whether or not it's strong enough to stop you throwing up and inject some life into your aching bones, who knows, but in my experience, it certainly seems to work in terms of encouraging dirt, oil and whatever else is blocking pores to get out. Silver Citrate – while I've researched the other ingredients quite a bit over the years, and heard a lot about them, I'm not as much of an expert on the benefits of silver, but Revuele claim it has antibacterial properties, and from a quick Google I've found many others agree. 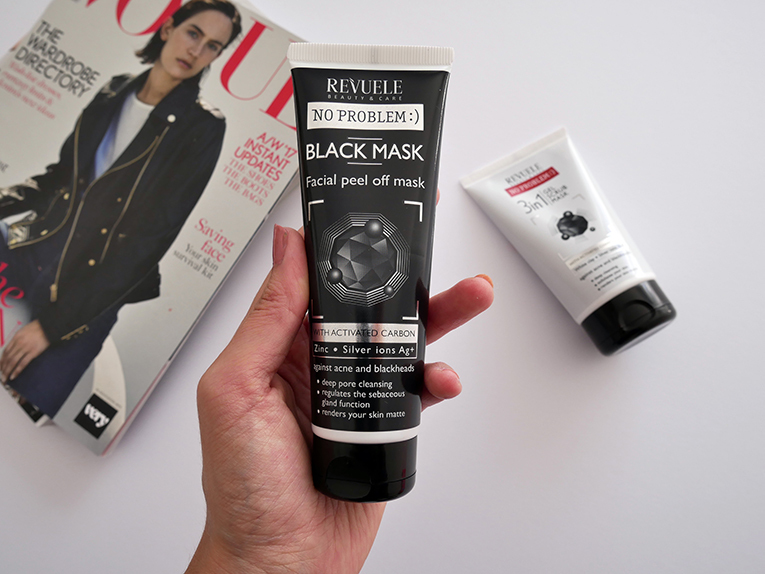 If I was comparing this mask to the L'Oreal Charcoal Clay Mask, I'd definitely give this one a much higher score. Not only are the results more visible, it irritates my skin less too. Plus, it's cheaper. 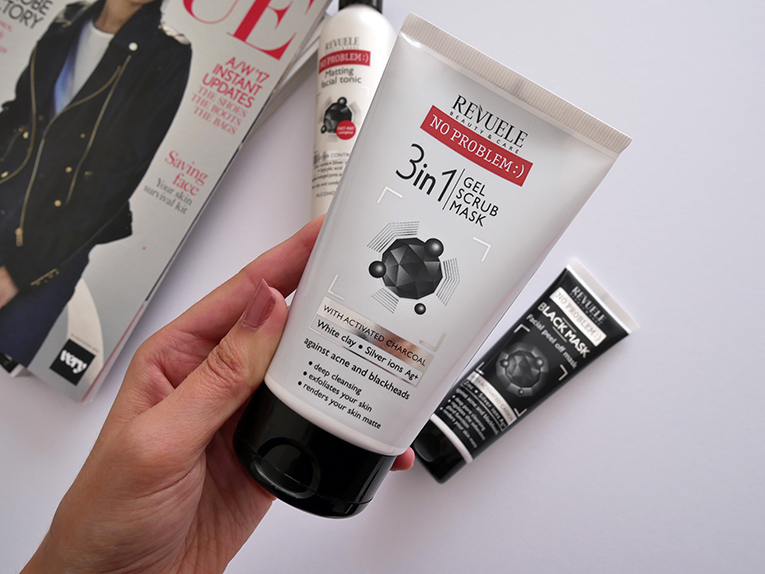 Next up, we've got this '3 in 1' product which claims to be a gel, a scrub and a mask. A miraculous, money-saving, time-saving, space-saving product if true. This product contains very similar ingredients to that of the above mask, it includes charcoal and silver but no zinc oxide. 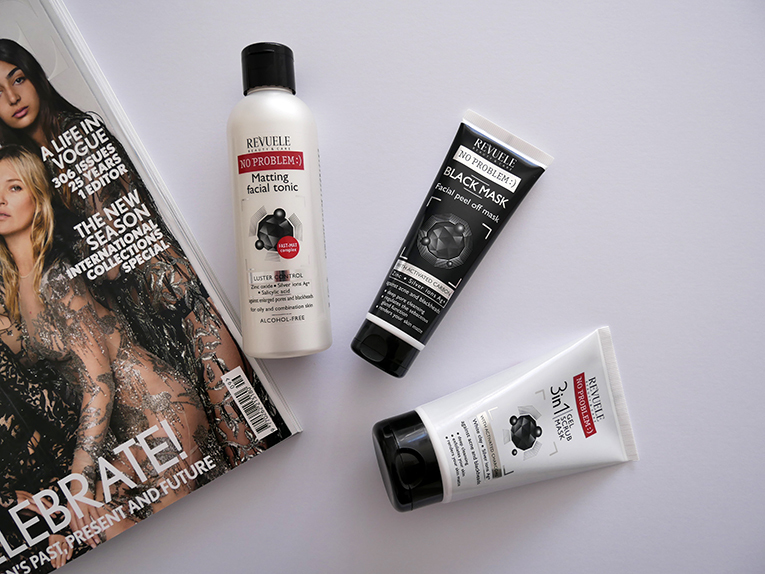 The bottle claims that, thanks to the 'most effective natural exflolient' the activated carbon microparticles (which I think are basically tiny lumps of activated charcoal), it exfoliates and removes blackheads, while the clay renders skin matte and evens out your complexion. I tried using this product all three ways but to be honest, I ended up leaving it in my shower and using it as a face scrub, replacing how I would normally use my St Ives Apricot Scrub ( 3-4 times a week, mid-shower). It worked well all three ways but for me and my sensitive skin, using it dry felt a bit harsh and I prefer the peel off mask when it comes to using a mask. This alcohol-free toner contains salicylic acid, zinc oxide and silver among the acne and shine-fighting ingredients. It removes any oil and dirt from your skin and leaves it feeling clean and matte without drying it out. For me, this is a great alternative to products such as Clinique's anti-blemish toner which does contain alcohol and can be too drying. I really like this toner, it's great for situations in which you might want to quickly and easily cleanse your face and ensure it has no bacteria residing on it, for example before heading home from the gym if you have been super sweaty or if you have picked at spots or touched your face and you know you shouldn't have (lol so me) and are now panicking about making said breakout worse. It also ensures you have a good, clean and small-pored base before applying makeup. Let me know your thoughts if you have tried this range too! Never heard of Revuele but I'm pumped to give them a try. I love finding new products. Thanks for sharing these reviews of Revuele and I am eager to use this brand soon. Grilling Product Reviews: GrillGrates – A Taste of “Grate”ness? ... In fact, the GrillGrate may be one of the best ideas to arrive on the grilling ... Why is charcoal good to burn?